Microbes in homes and on pets: Humans inoculate surfaces with own microbiomes. Bacteria are also a part of the family. 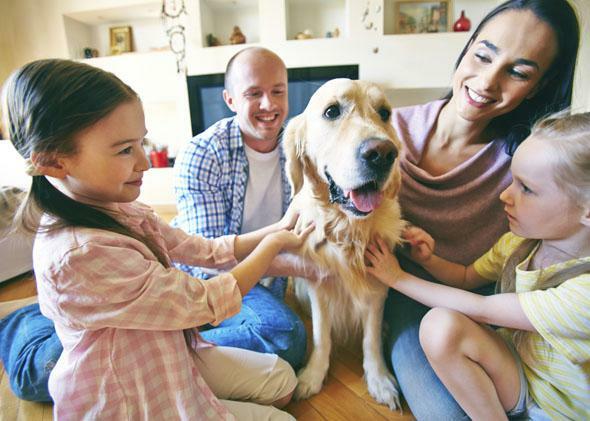 Microbial communities vary greatly between different households but are similar among members of the same household—including pets—according to research published in Science last week. Studying the dynamics of microbial transmission revealed that, more often than not, humans are the microbial vectors, or transporters. When we move into a new house, rather than acquire microbes from the new location, we bring our unique microbial profile with us. Andrew Holmes, a microbial ecologist from the University of Sydney, said the results indicate microbial communities on household surfaces are “ecologically inert.” Rather than harboring actively growing microbes, he said, surfaces “are continually reloaded with what you had already growing in and on you. “To put it another way: We inoculate the house, rather than the house inoculating us,“ he said. The results of the study highlight the complex exchanges between humans and the microbes residing with us and contribute to an understanding of how these microscopic communities may play a role in human health, disease treatment, and transmission. Researchers from Argonne National Laboratory studied seven families and their homes over six weeks, including three families immediately before and after they moved to a new home. The researchers sequenced the genomes of bacteria found daily on the subjects’ skin, household surfaces, and pets. Four million different microbial DNA sequences were identified. Within households, the most microbial similarity between individuals was found on the hands. Intriguingly, the most microbial variation was found in the nose. Silvana Gaudieri, associate professor in the Centre for Forensic Science at the University of Western Australia, said that in the context of forensic microbiology, there is potential “predictive value” in the relationship between home surfaces’ microbiomes and those of occupants. The research also showed that when individuals (and their microbes) leave a house, the microbial community changes markedly in the following days. This suggests that the decay of a microbial signature could be used to assess not only if, but when, a person was in the house. While the study suggests that humans may routinely encounter potentially harmful microbes, they cause problems only for those with otherwise compromised immune systems. “[The results] most certainly do not mean that the microbes occupying the household surfaces are biologically significant to the health of the household,” Holmes said.